Spore vial Mazatapec 10 ml. 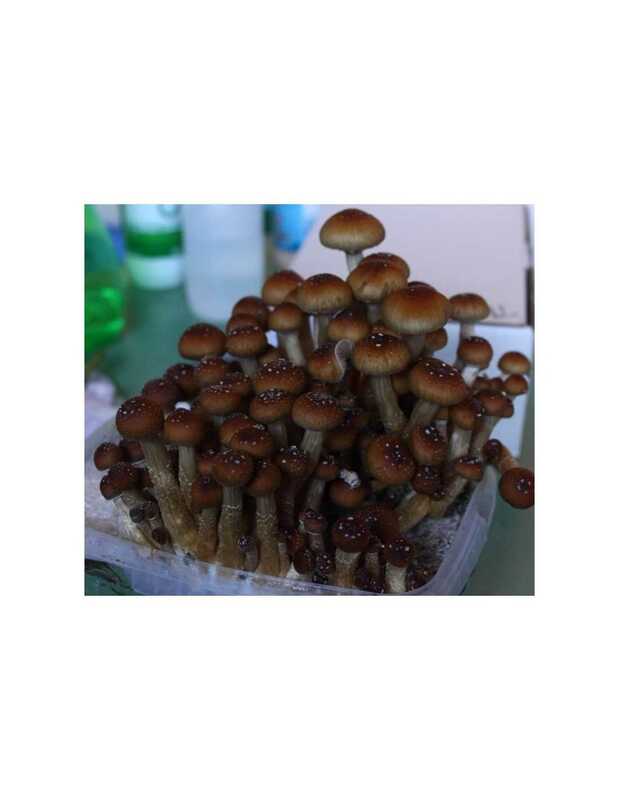 The psilocybe cubensis Mazatapec strain is an exceptional cubensis native to Mexico. It has a strong colonizing mycelium in front of other cubensis. Create beautiful fruits homogeneous in structure. One of the most resistant strains. The Mazatapec (or Maz) is an easy growing mushroom. This species was found near Mazateca, in Mexico. Never had the attention deserved until recently. Like other Mexican species, this is very special and spiritual. They grow a little slower than the others, but the wait is worth it. 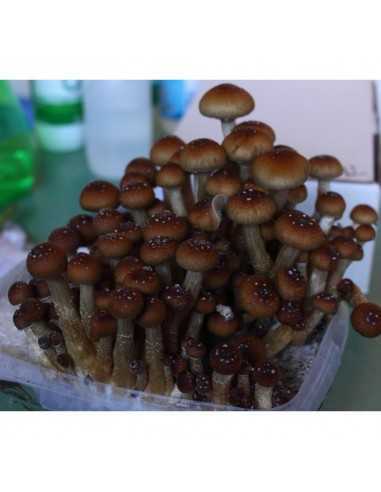 If you want a stronger spiritual experience, experience the Cubensis Mazatapec. You will adore this species! Appearance: The hat is more than 50mm in diameter, dark brown, very wide and convex. The foot varies between yellow and brown. The sheets will be blacker during ripening.